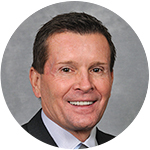 Michael Cunningham is the CEO and founder of Maetrics and has over 30 years of entrepreneurial experience leading innovative consulting companies. He founded Theoris (formerly Software Synergy Inc.) in 1984 with a vision of providing high-value technical solutions tailored to each individual client’s unique business needs. The firm established its expertise in computer system validation for the life sciences industry and that division was later spun off as Maetrics, LLC. After a decade of rapid growth, Maetrics is now a full-service life sciences consultancy with industry-leading expertise in enterprise compliance services. Areas of concentration include regulatory affairs, quality assurance, quality control, GxP, CAPA, and complaint handling.